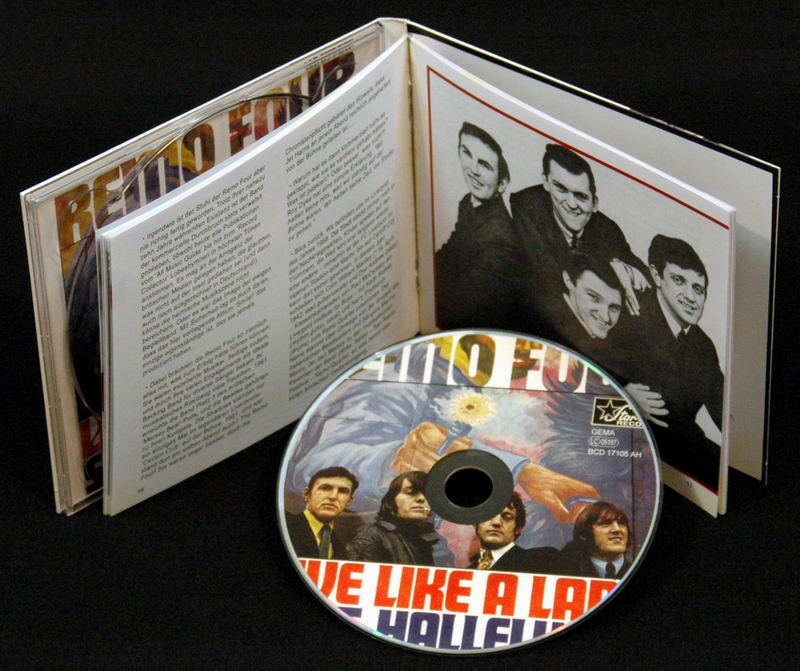 1-CD-Album Digipak (4-plated) with 30-page booklet, 17 tracks. Playing time approx. 58 minutes. Colin Manley! British R&B par excellence. A sought after collectors' item! Rare bonus titles! Many Star-Club bands were audience favourites without becoming as big as the Beatles, who also started there. 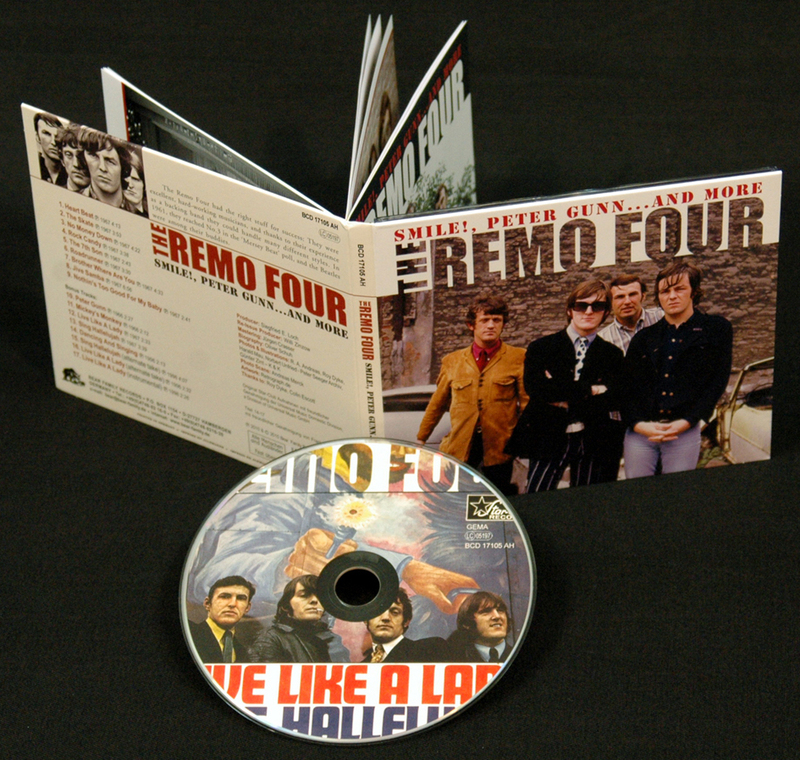 But there was one group that towered above their competitors for their outstanding musical quality, and it was another band from Liverpool, The Remo Four. 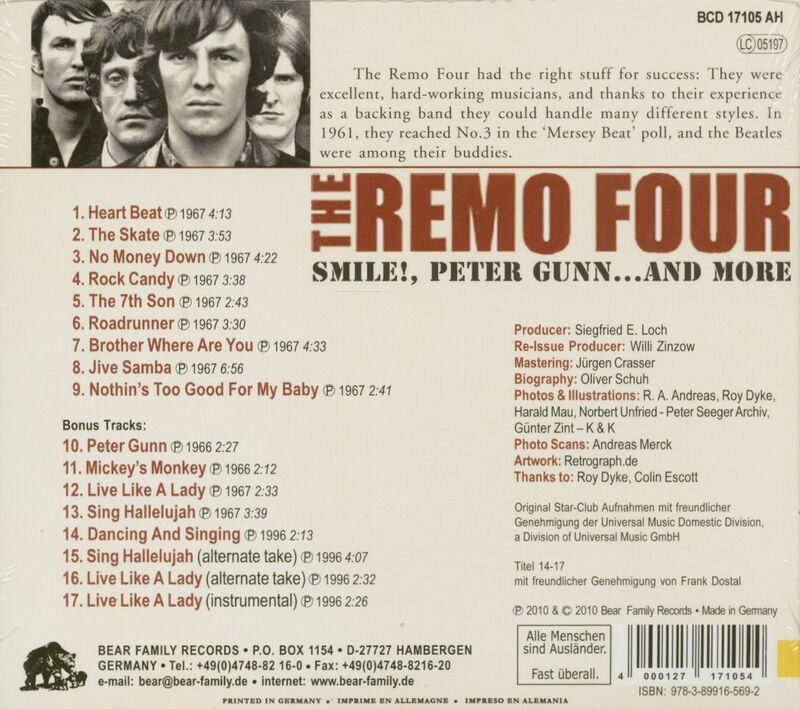 In the early and mid-sixties the Remo Four became backing musicians for solo singers - and were among the best bands to ever touch the hallowed stage of the legendary Hamburg club. By 1967, they were among the best bands from England. Roy Dyke and bass-player Phil Rogers. 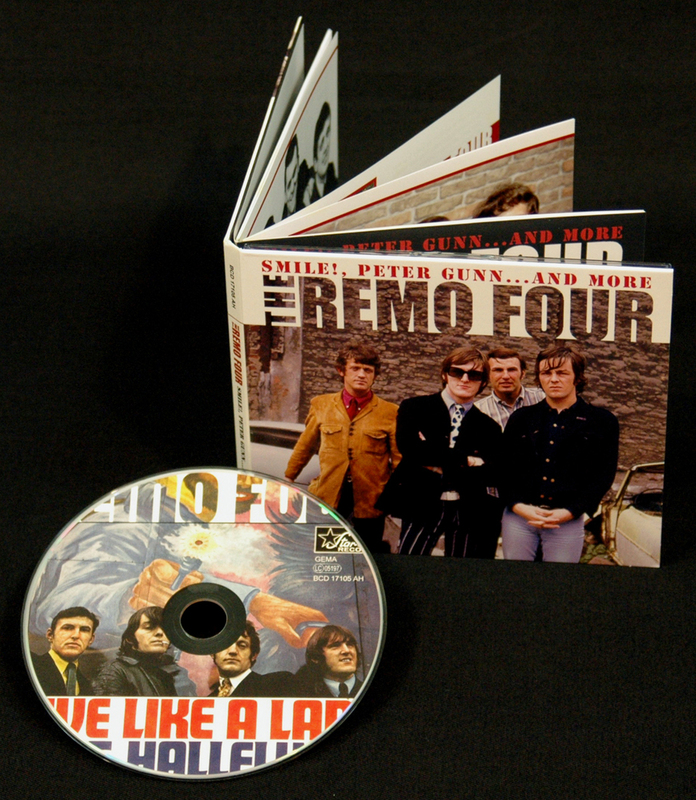 The Remo Four were the first among equals with an excellent fusion of rhythm, blues, brass-free soul and even gospel snippets - with Tony proving how such a mixture could be sung perfectly and soulfully alike. Songs such as Sing Hallelujah, Brother Where Are You, the fantastic Jive Samba, to name but a few, are excellent examples of the quartet's outstanding groove. Their greatest success had come in 1966 with the Peter Gunn instrumental, which made them stars in Germany after a legendary live performance on the famous 'Beat-Club' TV show. 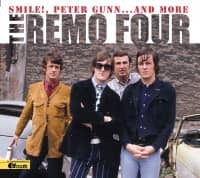 These days The Remo Four's only album 'Smile!' is insanely rare and expensive as an original, but even the CD edition - off the market for many years - has become a sought-after rarity. Now this outstanding slice of mid-Sixties music is available again with eight extra songs (A&B sides of two singles plus four tracks unreleased at the time). With this fabulous release, Bear Family finally fills in a missing link in the musical story of the 'Swinging Sixties'. 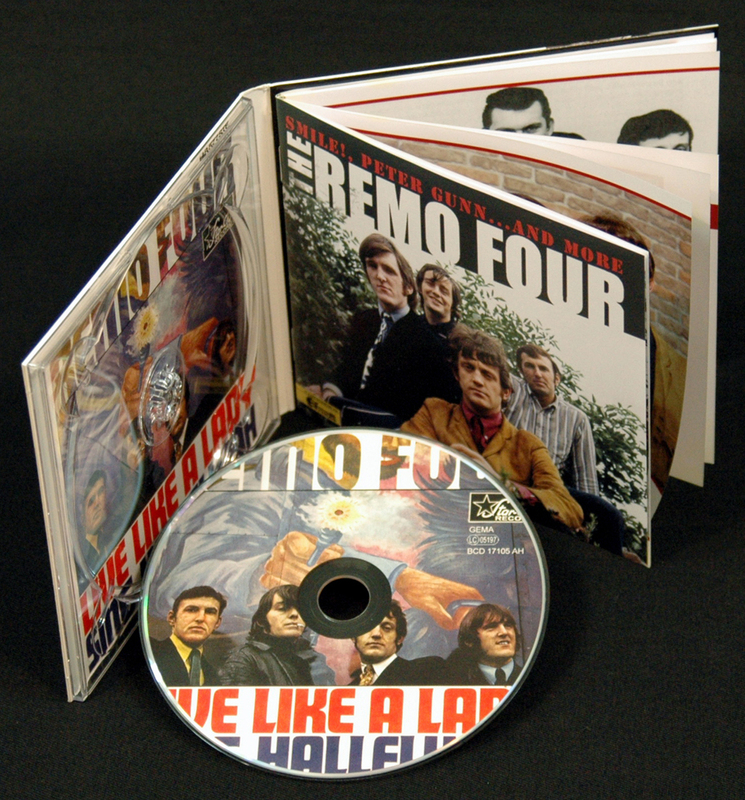 Roy Dyke, who played drums with the Remo Four and went on to an illustrious career, sums it up like this: "There were 500 bands in Liverpool alone. We were all in some kind of a big pot, and only the Beatles really got out of it and had great success. But none of us ever had the feeling in the beginning that the Beatles had shaken us off or were far ahead of us. There was no professional jealousy. We all did our own thing, but of course we also lived in the aura of being from Liverpool, knowing the Beatles personally and having had coffee with Paul McCartney more than once in our lifetime." Dyke’s Star-Club colleague, John Lennon, came up with an interesting analogy, comparing music and chairs. According to Lennon, the blues is such a chair. Every musician builds and uses the chair in a different way. It is not made for looking at, but for using. "And because we were brought up on a different kind of music and atmosphere," said Lennon, "the Beatles’ songs were our version of the chair. We were building our own chairs." For some reason the Remo Four’s chair was never finished. Although they existed for almost a decade, they never found commercial success. These days, publications from 'All Music Guide' to 'Record Collector' praise their work, and so acclaim has come late...but not too late. Perhaps their lack of success in the 1960s came down to the arrogance of the British media who might have thought that something not home-grown in the U.K. (and worse yet, grown in Germany) had nothing to offer the local music scene. Perhaps the Remo Four were thought of as a backing band. One thing is for sure: The album you hold in your hands is the only one the group ever produced, and it has weathered the years well. 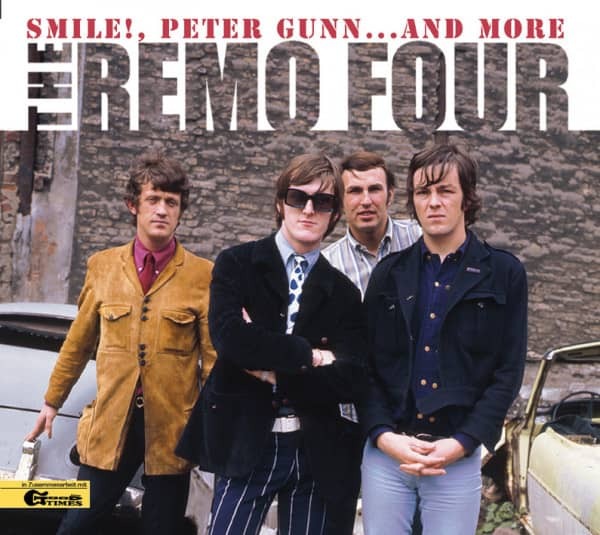 What’s not in question is that the Remo Four had the right stuff for success: They were excellent, hard-working musicians, and thanks to their experience as a backing band they could handle many different styles. In 1961, they reached No.3 in the 'Mersey Beat' poll, and the Beatles were among their buddies. The Shadows only played the legendary Cavern Club once. It was in 1961, and the Remo Four were onstage that night, too. They got a better reception than the Shads that night, but that might have had something to do with the Shads' Jet Harris drinking too much and falling off stage. So why didn’t it work out commercially the way it should? Roy Dyke has a very simple explanation: "We never had any so-called hits, because we were on stage permanently. We had no time to go into the studio." Let’s go back to Liverpool, 1958. The city still was in the midst of post-war reconstruction. That was the year Colin William Manley (lead guitar and vocals) and Don Andrew (bass) – both classmates of Paul McCartney at the Liverpool Institute for Boys – founded the Remo Quartet together with Keith Stokes (rhythm guitar and vocals) and Harry Prytherch (drums). Their name derived in a roundabout way from an Italian singer and bandleader who’d appeared at the London Palladium, Marino Marini, and from there they thought of Italy’s San Remo Music Festival, and that in turn led to the Remo Quartet. The following years were predictable: parties, competitions, and any kind of show that would have them. They played instrumental music by the Shadows and Ventures, and worked up tight harmonies like the Everly Brothers. Like the Beatles, the Remo Four were among the regular groups at the Cavern Club in 1961/62, and their names are on old posters alongside Rory Storm & The Hurricanes (featuring a drummer named Ringo Starr), Gerry & The Pacemakers and Kingsize Taylor & The Dominoes. And then came the decision on whether to go professional. Prytherch and Stokes voted against it and were replaced by Phil Rogers (rhythm guitar, ex-Dale Roberts & The Jaywalkers) and Roy Dyke (drums, ex-Karl Terry & The Cruisers). Dyke had just turned 17 at the time. He’d admired the band and his legs almost turned to jelly when the job was offered: "The Remo Four were in a totally different league to Karl Terry & The Cruisers. They were three times as good as us. We had a gig in Southport, and suddenly [the Remo Four’s bass player] Don Andrew came up to me and asked me, if I wanted to be the new drummer. Harry Prytherch had to leave the band, because his father wanted him to take care of the family’s company, and Harry proposed that I would be the best substitute around. I really felt totally flattered. The boys were only three or four years older than me, but I felt like a child among adults." Shortly afterwards, in the middle of 1962, they joined forces with Johnny Sandon (real name: Billy Beck), who’d just split from the Searchers. Ironically, right after Sandon left, the Searchers produced hit after hit – but that’s another story. The next step took the band to the continent on a tour through France to play for the American National Guard. The Cuban missile crisis was at its height and the American government wanted to build a buffer zone between the USA and Russia. The tour lasted seven months. Roy Dyke, still far from coming of age, remembered: "We wanted to be professionals, so we responded to an ad which one of the concert agents had placed in the 'Melody Maker.' The man seemed to have good contacts on the continent and wrote: 'O.K., guys, you come to London for an audition'. Wow, that was cool! London! Piccadilly! A real audition! The only condition was that we had to have a girl singer – sure, we were to play for the GIs, so we needed a girl singer. That wasn’t such a big problem, because Phil had this girlfriend named Ellen Bee – she couldn’t sing, but at least she tried. She looked fine, was perfectly shaped, so we took her. We got the contract without any problems and then went to France, from Army Base to Army Base on a monthly basis. It was incredible! The Americans had everything: big clubs, the whole range of entertainment from bands to theatre. That’s when we really turned professional, because we were playing all the time, several times a day. The only problem was our girl singer, because all the soldiers were after her, and we weren’t paid the way it had been agreed upon. We always had to chase after the money." Customer evaluation for "Smile!, Peter Gunn And More (CD)"
Ganz kleine verschmerzbare Mängel im Booklet. Hat wohl ein wenig Feuchtigkeit abgekriegt. Sieht aus wie Rostspuren im Mittelfalz evtl. durch die Klammerung. Dafür ist das aber eine tolle Raritäte, die man nirgendwo anders findet Auch sonst sehr gute Auswahl und gut gepflegtes Sortiment.